Clinician Spotlight: Ebony Belmar – Working Group on Girls of Schenectady, Inc.
We are so grateful for the tireless energy of Ebony Belmar, who serves as the Program Coordinator of Girls’ Day Out. 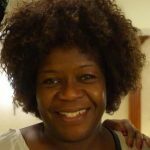 A current WGGS board member, Ebony is a social worker at Mont Pleasant Middle School and has been with WGGS since 2005. She is deeply committed to supporting the families of Schenectady. Along with organizing Girls’ Day Out, she has also spearheaded the creation of Boys’ Day Out & Parents’ Day Out. She serves as a liaison between WGGS & the Schenectady City School District. Ebony doesn’t just support kids in school: she likes to bring students out to special events to help them connect with their wider community. For example, in September, Ebony brought two students, Lucy and Xavier, to participate in the Upstate Latino Summit in Albany.